Next week's lunar eclipse, visible on October 8th all over the U.S., should be quite a sight to see. But, when you step outside to see the moon turn that distinctive coppery-red shade, astronomers say there's another color you should also be looking for: Turquoise. The source of the turquoise is ozone. 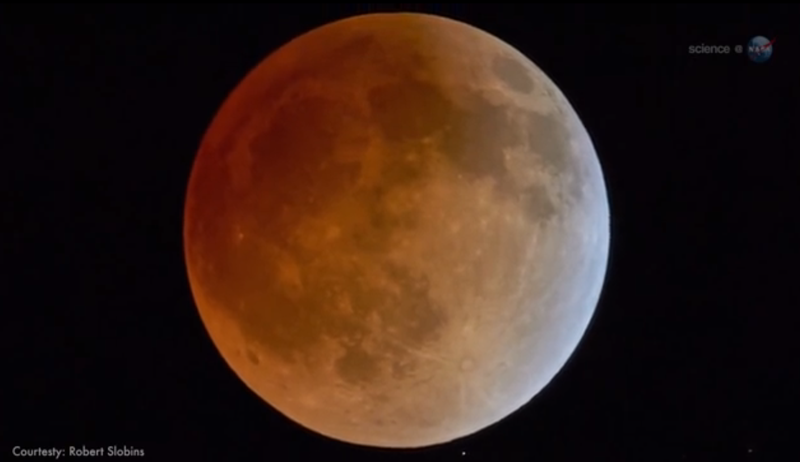 Atmospheric scientist Richard Keen of the University of Colorado explains: "During a lunar eclipse, most of the light illuminating the moon passes through the stratosphere where it is reddened by scattering. However, light passing through the upper stratosphere penetrates the ozone layer, which absorbs red light and actually makes the passing light ray bluer." This can be seen, he says, as a soft blue fringe around the red core of Earth's shadow. To catch the turquoise on Oct. 8th, he advises, "look during the first and last minutes of totality. The turquoise rim is best seen in binoculars or a small telescope." That totality should be starting at just after 3:25 (PDT) and will wrap up in just over an hour. Be sure to catch it next week — and then come back here and tell us whether you were able to spot any turquoise.